This week, tune in and hear FHT Excellence Award Winner (2014), Dr Carol Samuel, FFHT, talk to Dr Vijay Murthy about the potential role of reflexology in pain management on his popular radio show, Unlock Your Health. As part of her PhD, Carol carried out research into the effects of reflexology on pain. The results of her exploratory study, published in Complementary Therapies in Clinical Practice, indicated that reflexology increased acute pain threshold and tolerance. 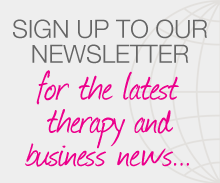 Enjoy listening and please share this news item with fellow therapists and reflexology fans! Posted on 25 June, 2018 by Federation of Holistic Therapists (FHT). This entry was posted in complementary, events and tagged Complementary Therapy Awards. Bookmark the permalink.